In a world full of social and military tech, power struggles, dictatorships, surveillance, intrigue and the ever-present threat of treachery, Frey is sent on a potentially deadly mission. 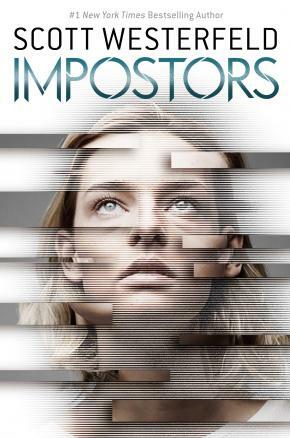 Impostors is the first book in a new quartet - a thrilling return to the world of the New York Times bestselling Uglies series. Frey was raised to take a bullet. She's the body double for her twin sister Rafia - the precious heir of the first family of Shreve - and her existence is a closely guarded secret. So while Rafi was schooled in poise and diplomacy, Frey was drilled in weapons and combat. Her purpose: to protect her sister from their tyrannical father's many enemies. When Frey is sent in Rafi's place as collateral in a precarious business deal, she becomes the perfect impostor - as elegant and charming as her sister. But Col Palafox, the son of a rival leader, is getting close enough to spot the killer inside her. As layers of deceit peel away, can Frey become her own person, and risk everything in a rebellion? Master storyteller Scott Westerfeld returns with a brilliant new series set in the world of his bestselling Uglies series.